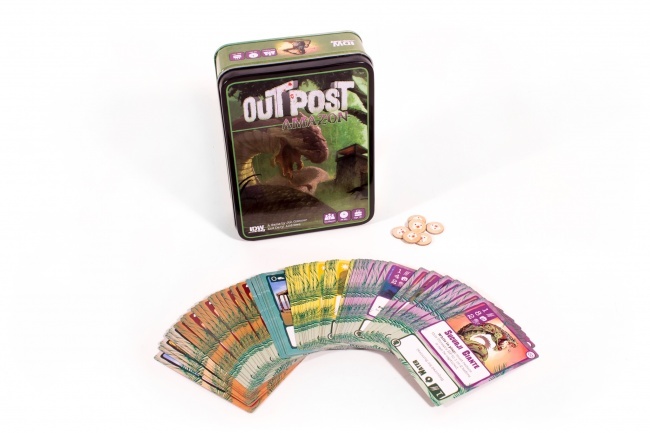 IDW Games will release the new survival card game Outpost: Amazon in March. This is the second game in the Outpost series, designed by Jon Gilmour and Daryl Andrews. Outpost: Siberia released last year (see �Horror Survival Card Game 'Outpost: Siberia'�). 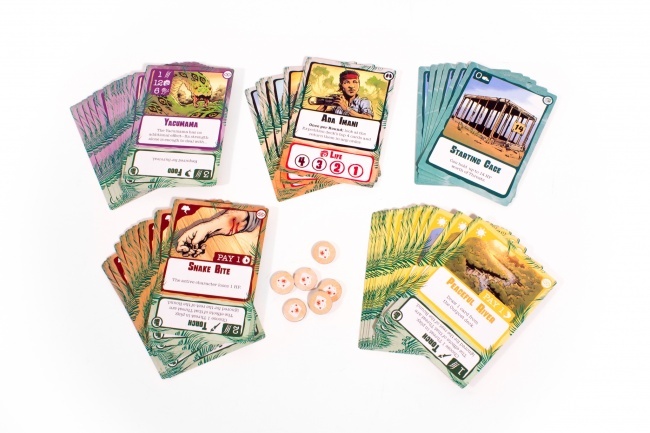 In Outpost: Amazon, players are scientists at Outpost 2, deep in the Amazon jungle. Their team is being sent down the river to explore mysterious happenings. Players must ration their supplies while exploring the wilderness along the riverbanks. To win, players must survive until they complete the expedition deck. If any player dies, everyone loses. There is a new aspect to this Outpost game, players can score points based on the number of creatures they capture. The box contains 6 character cards, 18 threat cards, 30 event cards, 6 cage cards, and 6 life tracker tokens. The game is for 2 � 6 players, ages 12 and up, and plays in 30 minutes. MSRP is $19.99.